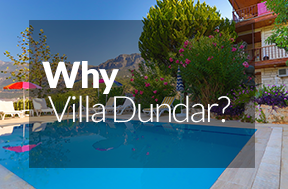 Experience the true essence of Turkish Mediterranean lifestyle while holidaying in your own private apartment or bedsit garden apartment at Villa Dundar. 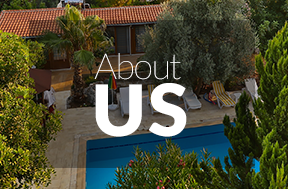 Live with the locals, the Dundar family, who own and operate the villa and reside onsite to assist you with your requests but leave you to enjoy the peace and tranquillity of their magnificent property. While staying in a hotel has its drawcards, a Villa Dundar Apartment holiday gives you the freedom to plan your own days, appreciate the savings of preparing your own meals and the relish the privacy of your own living areas, balcony and swimming pool. Be captivated by the views, refreshed by the blue waters, intrigued by the history and entertained by the village life on your self-managed holiday at Villa Dundar, Kas Antiphellos. 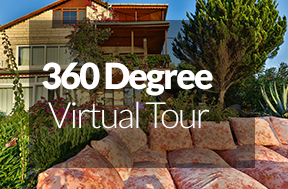 You and your friends will appreciate the affordability of a Villa Dundar holiday and the flexibility of dining in your villa or out in the village while immersing yourself in the life and style of Mediterranean Turkey from the privacy and convenience of your own private villa apartment. Superb location, 10 minute walk to Big Pebble Beach, Panoramic Views, Private Swimming Pool. Villa Dundar is owned and operated by the Dundar Family who have over 20 years of experience in the hospitality industry, creating memorable holiday moments for people from all over the world at their villas. Even as long-time Kas residents, they too were captivated with the position and built Villa Dundar in 1994 to cater for holidaymakers, primarily from UK and Europe. The property consists of an impressive 3 level Main Villa, built as three apartments, with the middle and upper apartments covering the entire levels for ultimate privacy and a separate Garden Villa containing two bedsit style bedrooms with shared kitchen. Built within 500 sqm of gardens, blossoming with native flora and fruit trees, Villa Dundar contains all the inclusions, facilities and services, expected in contemporary holiday accommodation. Even your own laundry facilities and free wi-fi internet access. Erdem and Ergun Dundar live on the property as your security and as a valuable source of information to the best places in Kas and for amazing sailing trips on their yachts. 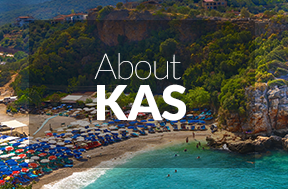 Kas is the ideal location to use as a base to explore the Kas Kekova Riviera, view the historic ruins and significant sites, swim in the crystal blue calm waters, discover the wonder of quaint coves and marvel in the vibrant coastal villages. Villa Dundar Apartments: private, peaceful, price-affordable holiday accommodation awaits you.